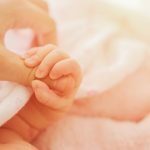 What does respectful care for infants and toddlers mean? This session will explore what respect looks like in the practical context of caring for young children, including topics like guidance, socialization, environment, materials, equipment, interaction, observation, family and culture. Participants will also consider why the quality of care is so important to development in the first three years of life, and some strategies to make it all work as a busy caregiver. Participants will discuss several aspects of caring for infants and toddlers in groups and how to include practicing responsiveness to children as a model for respect.